Wow, what a week that was! Personally, I experienced a bit of a roller coaster of a ride starting with a poor Tuesday (I'm still having nightmares over Annie Power), an excellent Wednesday (good old Paul Nicholls! ), a terrible Thursday (bad old Jonjo/Johns Spirit) and an okay Friday (last race get out). I finished the week on top but it was a bit of a grind and it was mainly due to some amazing betting concessions from the bookmakers and my brother's stellar tipping on the Friday. I hope you had a profitable week or at least it wasn't too disastrous. Feel free to leave a comment below to tell us how you got on. A record breaking week for the Irish handler showed him to be the Number 1 jumping stable in the world. His horses overcame perceived inexperience and long breaks away from the track to defy some very strong, longstanding trends in certain races. It's a lesson learned for me and I'll certainly be treating the Mullins runners differently next Cheltenham Festival. BUT there is one subset of Mullins runners that continue to disappoint and it was an age group I flagged up in my stats book before the Festival. The Willie Mullins 4yo's have been horses to avoid for a long time and last week once again he came away empty handed from 5 such runners. In fact all 5 finished unplaced. These 28 losers include 10 last time out winners (all finished unplaced) and 9 horses at odds of 12/1 or less (all finished unplaced). Despite his supposed banker of the week Dynaste having to miss the Festival he had a pretty decent week, bagging 2 winners and 3 places from his 22 runners. 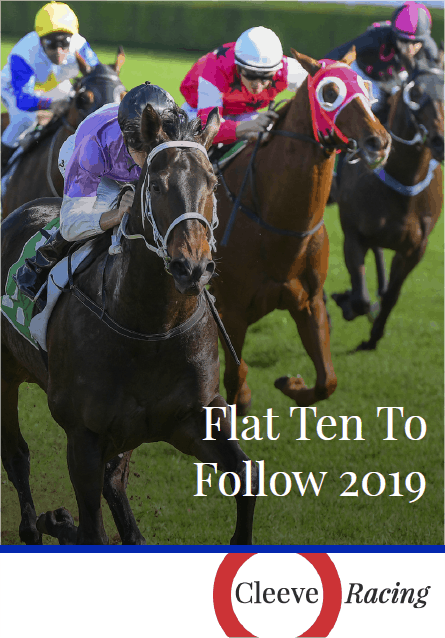 His handicap chasers remain the horses to look out for and the win of The Package brought his tally since to 6 wins and 10 places from 73 such runners since he took out his licence in 2007. BUT the most striking thing to note from his runners last week was his ability to bring a horse back to the track after a long break. His Champion Bumper winner Moon Racer had his previous run on the 18th October 2014 and Kim Muir winner The Package was last seen before running at the Festival pulling up at Aintree on the 6th December. It surely would have been 3 'long break' winners for Pipe last week had the shambolic start of the Festival Plate Handicap not cost Monetaire dearly. Forced to line up widest of all and slowly into stride he gave plenty away yet was beat just over a length at the finish. He hadn't been on the track since winning a Newbury Handicap at the end of November yet was the subject of a monster gamble and connections will consider themselves very unlucky not to have landed it. At the bottom of the pile we saw that horses coming on from Huntingdon had the worst record of all with all 91 such horses getting beat since 2004. We can now add another 10 losers to this list as that's how many horses got beat last week having had their prep run at Huntingdon. In fact all 10 finished unplaced including Fred Winter favourite Arabian Revolution, Jonjo O'Neills 11/1 shot Forthefunofit in the Martin Pipe Hurdle and quietly fancied Eduard in the RyanAir. In my last post before the Festival I took a look at the record of the previous years Cheltenham Festival winners and how they had got on the following year. The stats looked good and the results had been making nice profits over the last few years. It wasn't to be profitable this year with only 3 Willie Mullins short priced favourites managing to follow up their wins from last years Cheltenham Festival (Vautour, Faugheen and Don Poli). Mares Hurdle: Glens Melody 6/1 - 2nd in last years Mares Hurdle. Meaning 13 of the 27 races were won by horses who had run at last years Festival. When you consider there are a few races where the winners couldn't have run the previous year (4yo races and to a large extent the Bumper) it's a big percentage and makes the previous Cheltenham Festival the first port of call when seeking the winners. Before I sign off, I must just mention my brother Gary and his tips for last week. Quite a few of you (actually a lot of you) signed up for his 4 big tips for the meeting in the hope he could keep his amazing Festival record going. We didn't get off to the best start when his first runner Little Jon went from looking the likely winner jumping the last to finishing out of the placings thanks to stumbling on landing. Duke of Lucca paid the price for racing up with the pace throughout in the Cross Country and Peckhamecho ran like his odds suggested he would - terribly! And to put a bit of icing on the cake he had earlier in the afternoon tipped up Wicklow Brave in the County Hurdle at 33/1 to ensure all who had followed his daily tips through the four days were also well in profit. .......Keep up the good work and I have recommended Gary and you to all my betting friends. Whilst we await the Grand National meeting my attention will temporarily turn to the flat and over the next week or so I'll be revealing my horses to follow list, a few early season flat systems and be taking a look at the Lincoln. Stay tuned! A profitable festival for me, but only thanks to the 2nd and 3rd days and Cole Harden, in particular, as I backed him early, ante post, long before the wind op. news. If Don Poli hadn’t have won, I would have a £10 treble the first three winners :(. Still bank up 50% reads well. A 50% ROI is excellent in anyone’s book. As I wrote above the first 3 were beaten and the last won at 16/1. If you can’t make a profit when given 4 horses and one wins at 16/1 then I think you need to give up betting. As a bonus to all subscribers Gary also gave the horses he was backing for every race at the meeting. Again he didn’t have a very good first few days but on Friday he tipped 33/1 winner Wicklow Brave http://nag-nag-nag.co.uk/cheltenham-2015-2/garys-pages/big-4-daily-bets/ to go with his 16/1 main bet winner in the last. Betting to level stakes would have made you decent profits over the four days Betting just the 4 main bets would also have made you decent profits. There are no false claims in this Blog Post. I have to agree with Gavin, all the tips provided by Gary for each day of Cheltenham, had been put up on the daily tips page for everyone who paid for the big 4 tips, the night before the races. All you had to do was visit the page every night. Not hard to do. Well done Gary, for me they turned a good meeting into an excellent one! Bought the book and definitely will next year too! There’s plenty of hype out there and everyone’s got a certainty but just buy the book and let Gavin do the hard work for you. Next year I will add Gary’s input to my bets and win even more! As a follow on to your comments about WP Mullins and the Triumph, I heard an interview with Patrick M where he was quite scathing about 4 yo runners (Final Furlong podcast). he didn’t want to have anything to do with them.Maybe the yard only does it because their owners want to have something running. A tricky week largely due to having far too much work and not having any free time to enjoy the racing. Tuesday was good, Wednesday only two bets and a small profit, Thursday a disaster after throwing the kitchen sink at it, Friday left me up after backing Conygree at 11. I wasn’t going to back anything in the Gold Cup until the rain came, which convinced me Conygree had a great chance of putting many of them out of the race with his sound jumping and relentless galloping. Obviously the novice aspect was worrying but he is unexposed and I’ve watched him jumping before and he looked slick and quick. A frustrating week though with not watching it live but Radio 5’s coverage was superb.